Nodding thistle is native to southern Eurasia and was introduced to North America in the late 1800s as an ornamental garden plant. 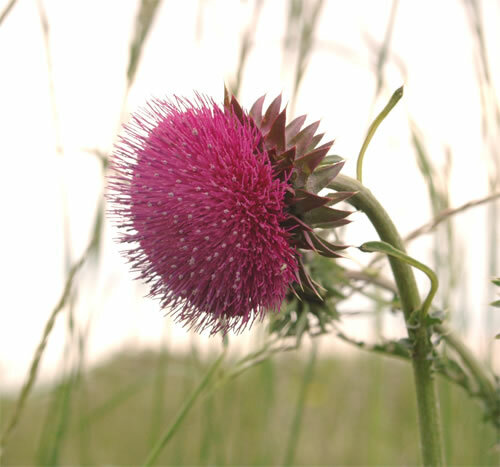 Nodding thistle is an aggressive invasive species. A single plant can produce as many as 50 flowering heads and each head can produce thousands of seeds. 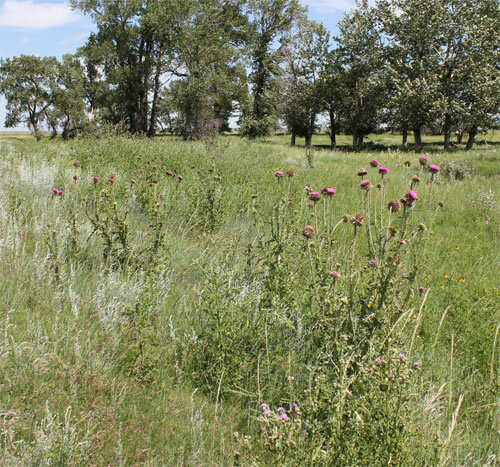 Nodding thistle thrives in a variety of soil conditions where it can rapidly form dense stands. Infestations can reduce the productivity of pastures by out-competing native forage species. The single purple flowers of nodding thistle are 5-8 cm in diameter and grow at the end of long stems. The flowers are surrounded by broad spine-tipped bracts. At maturity, the flowers droop down or nod. 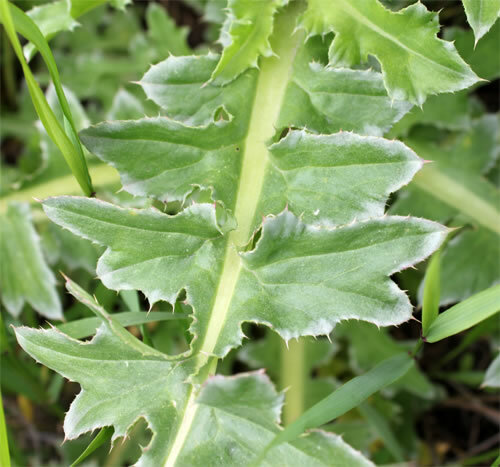 The leaves are dark green, deeply lobed and have spiny edges. They are alternately arranged and can grow up to 15 cm long. Spiny wings cover the stem except just below the flowering head. Nodding thistle can grow up to 2.5 m tall.